Can Palestine continue their run? Palestine's next match is less than two months away so what better time to speculate on whether or not they can book their ticket to the final round* of Asian World Cup qualifying? After conspiring to throw away a valuable point to Saudi Arabia in their first game it seemed that Palestine would be left using these games as a learning experience ahead of the more realistic goal of qualifying for the 2019 Asian Cup in the UAE. Despite good results against Malaysia (6-0) and UAE (0-0) Palestine squandered another two points in Dilli- spending most the first half in a reactive state. FIFA has yet to comment on whether or not the match would be overturned after it came to light that Timor Leste had illegally naturalized Brazilian players but for the sake of this argument will assume that the 1-1 result will stand. 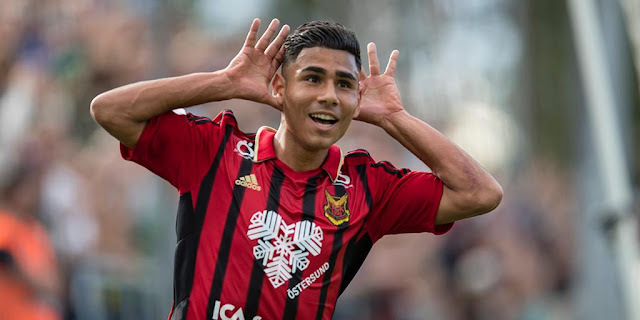 Since the disastrous Timor Leste result, Palestine's luck has picked up- in fact Abu Nahya's late equalizer has proven to be absolutely critical in their quest for qualification. Al-Fida'i should have hosted Saudi Arabia and Malaysia in Palestine only for external pressures to force the games to be moved. A boisterous crowd in Amman saw them pick up a valuable point from Saudi Arabia- the first time the group leaders dropped points- and secure another 6-0 result versus Malaysia. 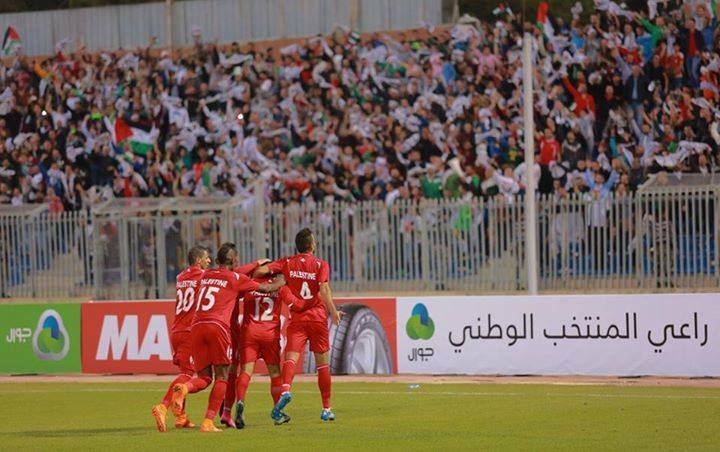 At the time of writing, Palestine lie in third place in Group A on nine points from six games. Barring a decision from FIFA awarding a 3-0 administrative win to Palestine the only path to World Cup qualification is via the runner's up spot. To finish second Palestine must now win their remaining games against UAE and Timor Leste while also hoping that UAE fail to win against Saudi Arabia on the final match day. 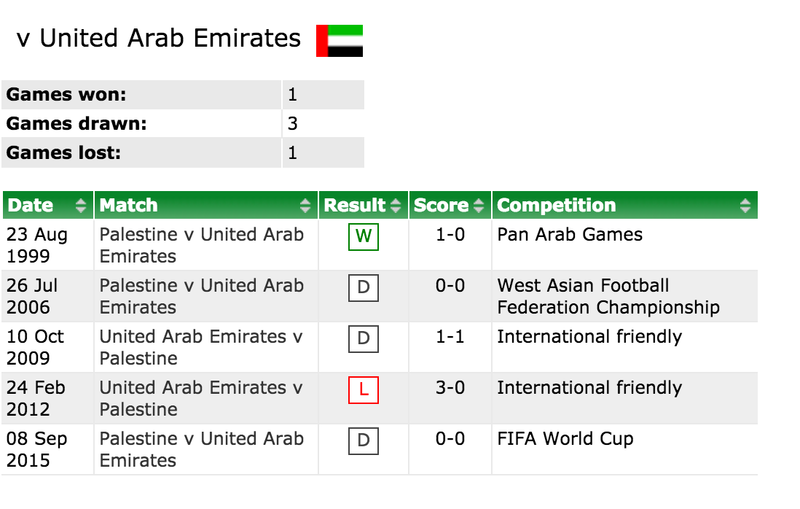 First and foremost, their record against UAE is pretty respectable especially in comparison to their record against other West Asian sides (winless vs. Jordan, Iraq, Iran, Kuwait, Saudi Arabia, Oman). Their lone loss was a friendly in 2012 played less than 24 hours after Palestine landed in UAE. A draw this time will do Al-Fida'i no good so they'll need to really go all out in search of the three points. Second, the atmosphere for the games in Abu Dhabi has been pathetic to say the least and it wouldn't surprise me to see more Palestinian supporters in the stand than Emirati ones much like how Lebanese supporters flooded the Al-Nahyan stadium four years ago. There are around 100,000 Palestinians that call the UAE home and a good number of the 250,000 strong Jordanian community are also of Palestinian descent. The Whites have failed to draw more than 7,800 fans in either of their first two home qualifiers and that should not come as a surprise given the fact that many of the country's clubs pay fans to attend games. The last time Palestine were on the pitch they blew past Malaysia 6-0 in a game that could have ended in double digits. 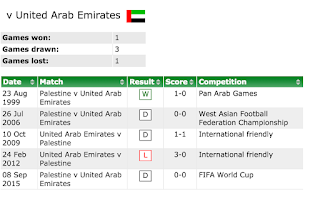 Four days later, the UAE only managed a 2-1 win against the same opposition. For all their star power, Mahdi Ali's men have struggled in every game with the exception of their two gimme encounters versus Timor Leste and Malaysia at home. The pressure will be on the Emiratis to assert themselves in this game and get their own qualification hopes back on track. With an eye on this encounter the FA smartly organized a February friendly against good opposition. 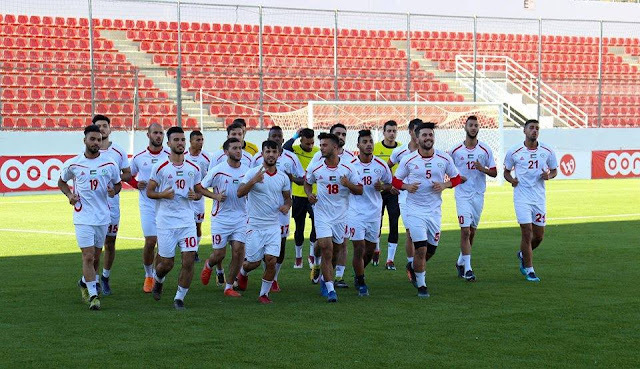 Palestine are due to play Algeria on the 17th and although it may be the U23 side, keep in mind that this same team is bound to Rio next summer to compete in the Olympics. Moreover, the transfers of Pablo Tamburini and Jonathan Cantillana to the WBPL means that the team should become more fluid in its play- particularly in midfield. Palestine is going to need a helping hand from Saudi Arabia and although they could wrap up first place on the penultimate match day they will be incentivized to take three points from UAE. A win versus UAE could catapult Saudi Arabia into the top four Asian sides according to the FIFA rankings- ensuring favorable seeding in the Third Round of qualifying. Speaking of records, Saudi Arabia has won seven straight matches against UAE dating back to 2007. Since the turn of the century Saudi Arabia is 12-0-1 vs UAE. So if all goest to plan Palestine will finish on 15 points (presuming they win their last game at home vs. Timor Leste) ahead of UAE who will be on 13 or 14 in the event they lose to Palestine and fail to win against Saudi Arabia. With Timor Leste guaranteed to finish last, Palestine would see four points stricken from their total in the Runner's up Table. Kuwait/Lebanon. as their maximum accumulation is 10 points. Hong Kong/China. The Group C runner up can get to 11 points but realistically will not be able to rack up 10+ goals in their remaining games. The Group D runner up (which will almost definitely be Oman). They can get to 11 points with a historic win in Tehran but will need to rack up goals against Guam to match Palestine's +12 (at least) goal differential. Jordan fails to beat Australia leaving them on 10 or 11 points. This will most likely happen as the last time Al-Nashama played the Socceroos in Australia they were on the wrong end of a 4-0 drubbing. Korea DPR fails to beat Philippines. This would leave the Chollima on 10 or 11 points and with a meager goal differential. 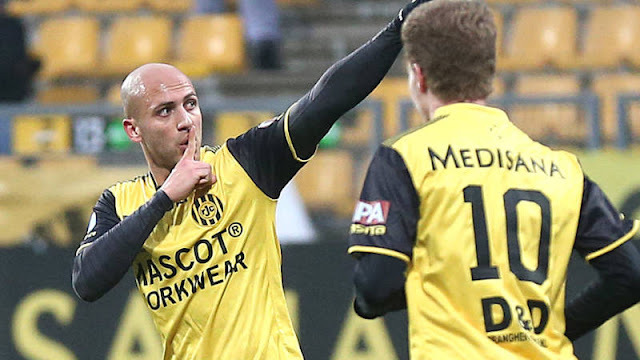 Iraq continue indifferent form. With two games on 'home' soil Iraq should be able to overcome Vietnam and get at least a point out of the current group leaders- Thailand. Should Iraq draw both games or should they lose one of the two- then Palestine would be able to leapfrog them. Uzbekistan fail to win either of their last two games. Both games are at home- probably not going to happen- Uzbekistan beat both Philippines and Bahrain by four goals margins in their own backyards. And what happens if a team is even on points, goals differential, and goals scored, you ask? The teams in question would play a playoff game on neutral territory! Can Palestine do it? There's enough evidence to suggest that qualification is still very possible but the first challenge will be to overcome the UAE in the Sheikh Mohammed bin Zayed Stadium on March 24th. * (This is confusingly termed the 3rd round. The confederation playoff between the two third place teams in Round Three is technically "Final Round". The first round refers to the play-in round for Asia's weaker sides).